Mr. Xiong Yuanjun is currently a senior applied scientist at Amazon Rekognition. He was previously a postdoctoral fellow in department of information engineering, CUHK, working closely with Prof. Lin Dahua and Prof. Tang Xiaoou. 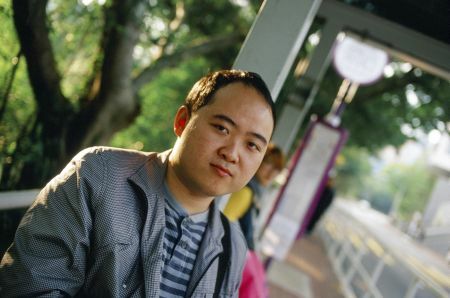 Yuanjun received his Ph.D. from the department of information engineering at CUHK in 2016 and B.Eng from department of automation at Tsinghua University in 2012. Detailed CV is also provided here. One paper accepted to NeurIPS2018. NEW! The extended version of the TSN paper is accepted to T-PAMI. NEW! I am co-organizing the WIDER Face and Pedestrain Challenge held in conjunction with CVPR2018. This year we have three tracks: face detection, pedestrain detection, and person search. NEW! Code and models of our CVPR2018 paper on unsupervised learning are released. NEW! Three papers accepted to CVPR2018. NEW! Code and models for our ST-GCN paper at AAAI-18 are released. NEW! One paper accepted to AAAI-18. Joined Amazon Rekognition. Thrilled to start a new journey. We released the code and models of SSN. We released the PyTorch implementation of TSN. The SSN temporal action detection paper is accepted to ICCV2017, see you in Venice! One paper accepted to CVPR2017. Project page of our TSN paper is online now. Check out the [Website]. Successfully defended my thesis "Visual Understanding by Learning from Multiple Data Aspects". Code and models of temporal segment networks (TSN), ECCV 2016, are released. One paper accepted to ECCV 2016. Our team CUHK & ETHZ & SIAT won the first place in ActivityNet Large Scale Activity Recognition Challenge 2016! This year the challenge is hosted together with CVPR'16. [Code] and [Online Demo] released! Baseline results and models on WIDER dataset released [Dataset Page]. Technical report of state-of-the-art performance on action recognition, [Arxiv article]. With the report we released the Caffe extension with Multi-GPU training support. [Code]. One paper accepted to CVPR 2015. Visiting Researcher at Google from Jan 2015 - Apr 2015. One paper accepted to NIPS 2014. One paper accepted to ICCV 2013. Started doing research on Computer Vision. Visual Understanding by Learning from Multiple Data Aspects, Yuanjun Xiong, PhD Thesis, The Chinese University of Hong Kong, 2016. Yuanjun is now running a blog recording his research and life stuffs.